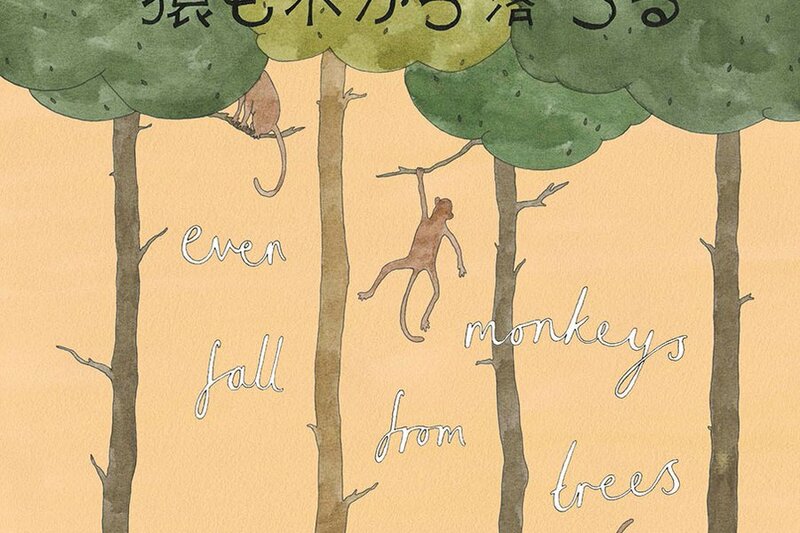 "Even Monkeys Fall From Trees." Art by Ella Frances Sanders. Here at Popupla HQ, we're obsessed with foreign languages; learning new words allows for instant transport to another place and culture. Ella Frances Sanders' unlocks phrases that are unusual and delightful to the ears and, through charming illustrations, easy on the eyes. 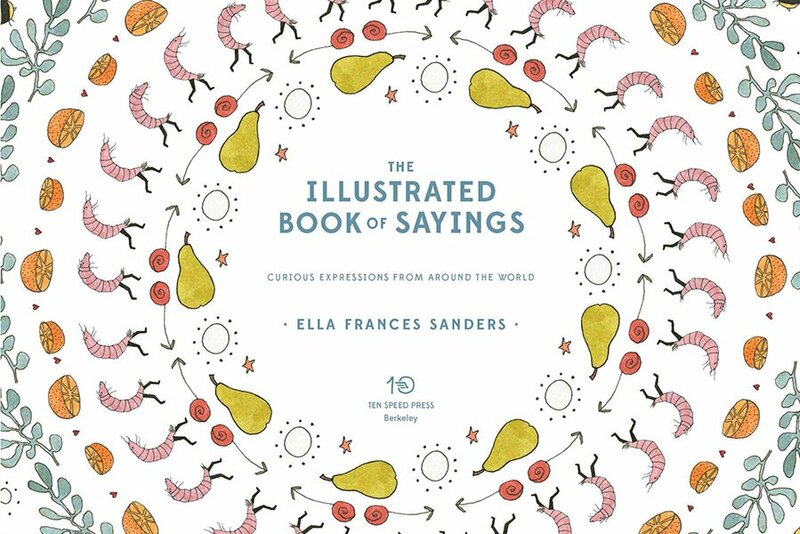 The expressions in The Illustrated Book of Sayings were collected in various ways: I grew up with a few, stumbled across others, and heard about the rest through research and suggestions. I see the book as an illustrated manual of openness, a gentle reminder that we are made of the same stuff, carry the same emotions around in our pockets, and experience nuanced versions of similar feelings wherever we are in the world, whatever sort of life we think we may be leading. What's endlessly fascinating to me is the constant overlapping and underlapping interplay between feelings and the words or phrases people have to express them. Click through to see our five favorite sayings. Reprinted from The Illustrated Book of Sayings Copyright © 2016 by Ella Frances Sanders. Published by Ten Speed Press, an imprint of Penguin Random House LLC. Even monkeys fall from trees? Nonsense. Why would a monkey ever fall from a tree? 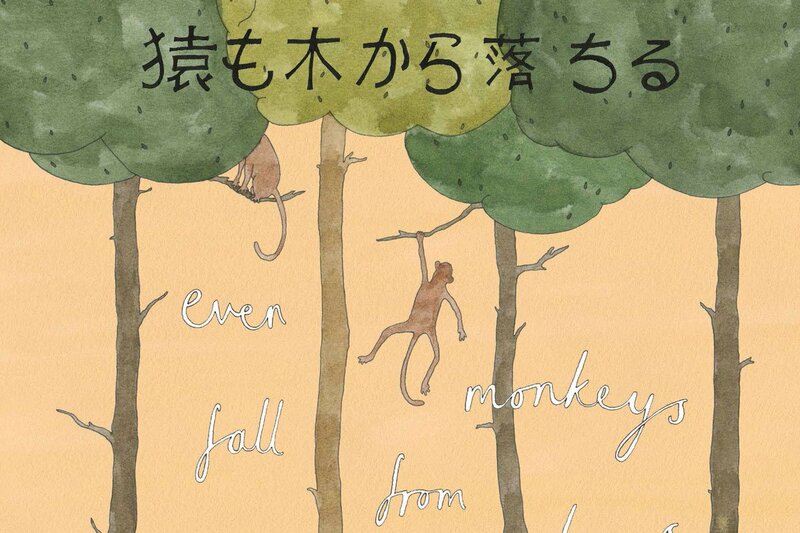 Well, this saying (one of the most well-known in the Japanese language) is a way of pointing out that everybody gets it wrong sometimes, that even the cleverest among us, the most skilled, the most practiced — they still make mistakes. It's an excellent way to keep overconfidence in check. A good example of this can be found in figure skating — even the athletes who have been training day in and day out for years will still, inevitably, fall on their face at some point. Actually, this neatly ties into the German expression Schadenfreude, which is the delight we can feel at someone else’s misfortune (if you're into that sort of thing). 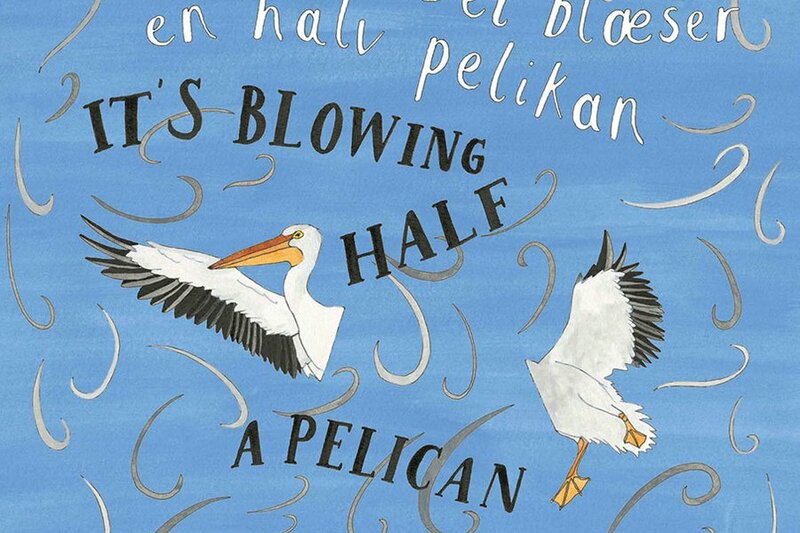 If it's blowing half a pelican, it's pretty darn windy. You may be wondering if Denmark gets awfully blustery and people and cats and dogs get blown about all over the place. Well, yes. Although Denmark's climate is actually pretty mild considering its northern latitudes (it doesn't get much colder than 32°F/0°C or much warmer than 63°F/17°C), the country is surrounded almost entirely by sea, and the strong west winds that blow mean that on some days Denmark's wind turbines can generate as much as 140 percent of their electricity demands. So this idiom makes a lot of sense, not least because one of the largest members of the pelican family — the Dalmatian pelican — lives in Denmark. These giant birds have a wingspan of over eleven feet and are very, very heavy considering that they are able to fly. 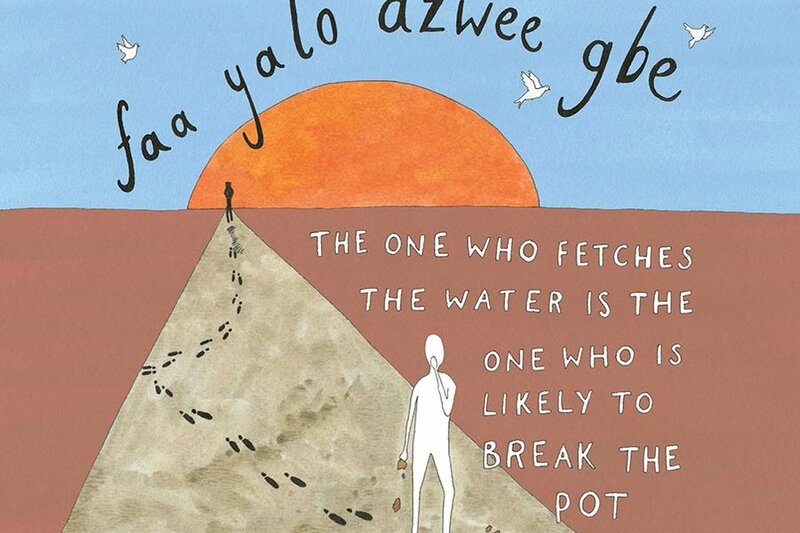 Ga is the name of both a tribe in Ghana and its language (it's one of sixteen official languages spoken in the country), and this proverb says that the person fetching the water (who traditionally would be walking long distances to reach a well or a river) is the one most likely to break the earthenware pot. It's a roundabout way of suggesting that if you don't have anything helpful to say or don't plan on making any kind of contribution, don't then criticize someone who's trying to get things done, and in doing so may make genuine mistakes. Of course, if you dramatically reduce your efforts and decide never to leave the house again, then you will also dramatically reduce any potential mistakes or errors, but that rather takes the unexpected and the fun out of things, don't you think? 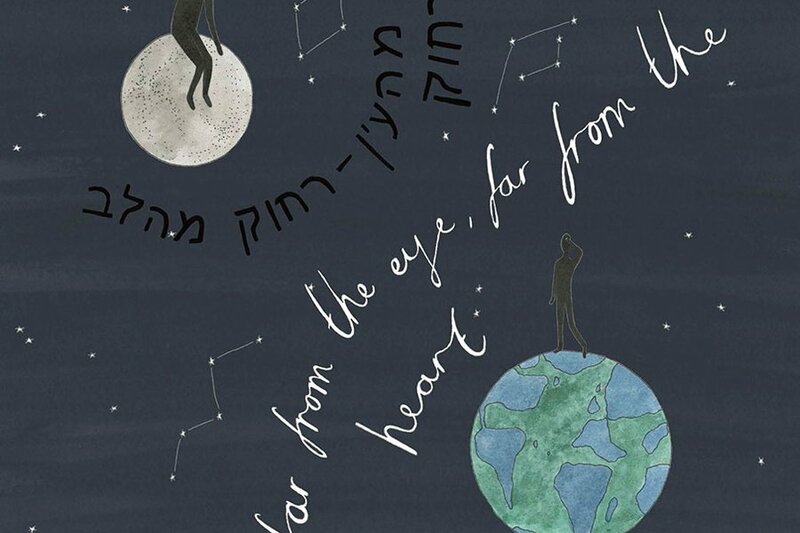 This is, more or less, the Hebrew version of "out of sight, out of mind," but instead of speaking about the mind, it speaks of the heart. It suggests that if you don't have immediate access to a person, if you don't see them every day or if they are far away, then you will not think of them as often, they will not so easily remain in your heart. Many idioms translate oddly, but Romanian ones can be exceptionally confusing when translated into English, and without an explanation, we wouldn't have much hope of understanding them. But my, are they wonderful. 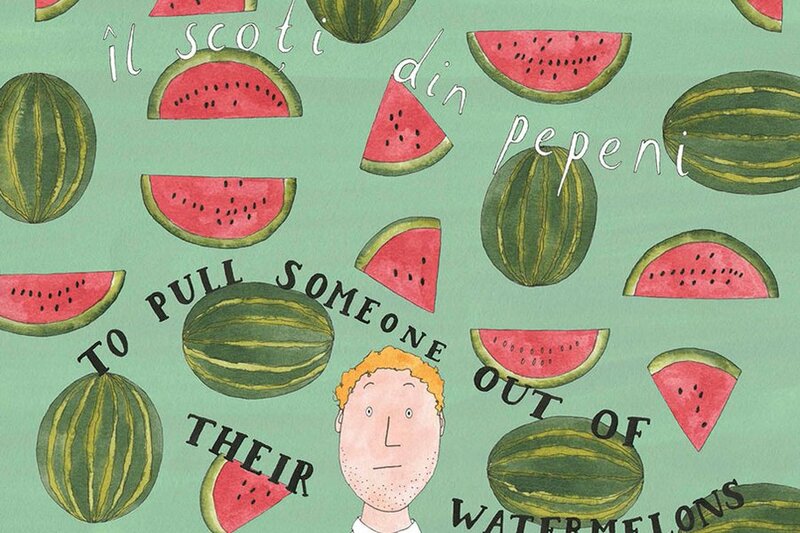 "To pull someone out of their watermelons" is to drive them crazy, a bit nuts. While the rest of us are surprised, Romanians' faces fall off (I-a picat faţa); they do not lose their tempers but instead, their mustard jumps off (Îi sare muştarul). They will not tell you to stop wasting time but to stop rubbing the mint (A freca menta). And a Romanian will not lie to you but will sell you doughnuts (vin de gogoşi). Static on your TV in Romania? "The TV has fleas!" (Televizorul are purici). And instead of catching your breath? You are pulling your soul (A-şi trage sufletul). The list goes on in a fascinating fashion. is a writer out of necessity and an illustrator by accident, currently living and working in Bath, UK. You can follow her on , , and , if you so wish. She travels to indulge in existential thinking, to find landscapes that leave you lost for words, and to feel terrified in an inspired sort of way.